Any easy app to get you into the holiday spirit. 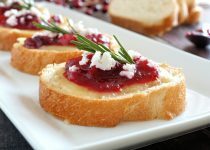 We like this sauce straight up, but if you're looking for a citrusy note, the Cranberry Garlic Rum Preserve can also be willed into a "chutney" with the addition of some orange juice, zest and cinnamon stick simmered in a pot until reduced (remove the zest before serving). Cheers! Mix butter and oil together; brush both sides of sliced baguette. Cook one side 5 minutes or until crispy, flip over, cook an additional 4-6 minutes. 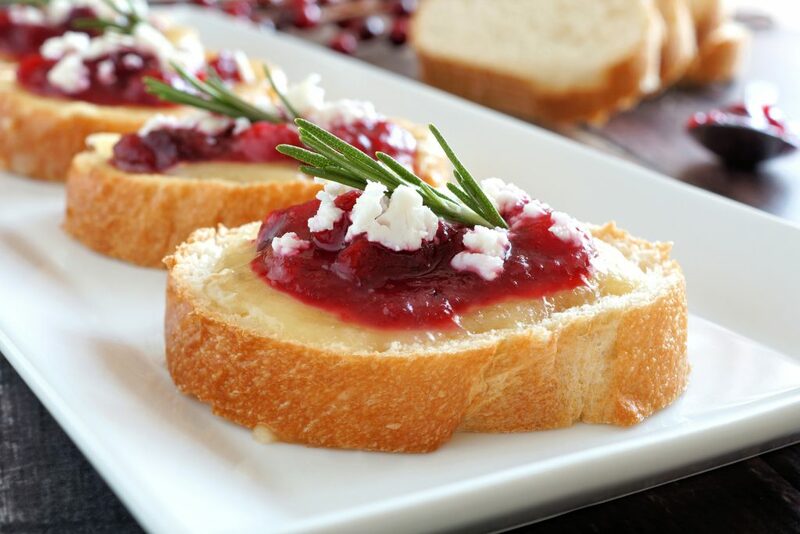 Remove bread from oven, add thinly sliced brie cheese, top with Cranberry Garlic Rum Preserve. Can be served oven warm, or room temperature. Optional: garnish with Rosemary spring and sprinkling of feta cheese.